Jo Abrantes is closing a Wollongong institution, Perey’s Books. PHOTO: Warren & Diana Ackary. THE well-known and much loved Perey’s Books will close its doors in Wollongong in less than four weeks. Perey’s Books became an institution in Wollongong since first established in 1992 by a newcomer to the area, but soon well-known identity Elizabeth Perey. The old-world charm of Perey’s with its wide range of rare and second-hand books, floor-toceiling Oregon timber shelves, and friendly and knowledgeable staff made the shop an attraction for local residents and book lovers all over the country. Jo Abrantes, the current owner, “inherited” the bookshop in 2003, when Elizabeth retired and moved to Tasmania. 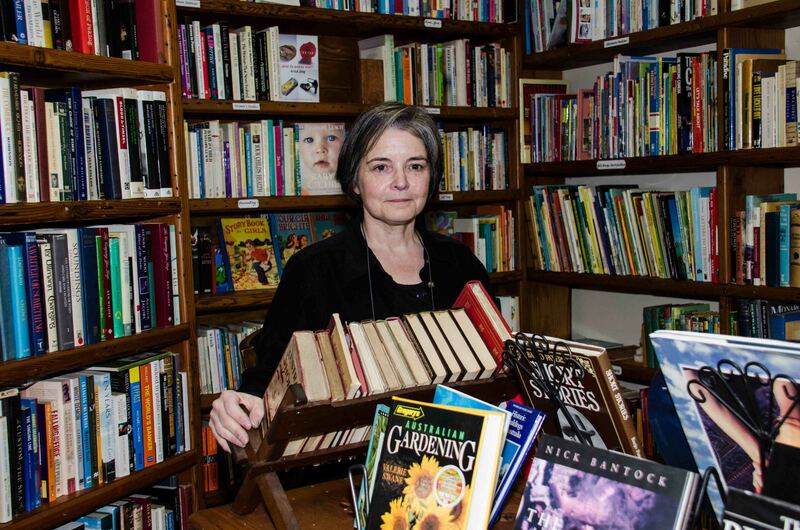 Jo fell in love with the bookshop on the day of her arrival to Wollongong in 2001, and the day she became the proud owner of Perey’s Books she vowed to preserve the much-loved character of the bookshop. Jo has kept her promise during the last nine years despite having had to relocate the shop twice, and Perey’s Books remained a special bookshop loved by so many. Perey’s is holding a 50 per cent off marked prices store-wide sale and Illawarra residents and visitors are invited to take advantage of the sale. “With only a few weeks until we close, don’t miss out on this opportunity to find some real bargains,” she said. “We have over 10,000 books for sale with stock arriving from storage every day,” Jo said. Perey’s Books is hosting its last literary event on Saturday October 20 from 3pm to 6pm: “The Story of My Life” – Talk, Reading, Q&A and Book Signing with author Ursula Widawska. Perey’s Books invites book lovers to come and hear Widawska talk about her recently published autobiography, “The Story of my Life”, which has been labelled ‘an amazing and absorbing read from start to finish’. “Come along for a glass of wine and listen to Ursula reading from her book in a relaxed and comfortable setting and in the company of fellow book lovers!” Jo said. Perey’s Books is located at 141 Keira Street Wollongong. Phone 42269966 or visit pereysbooks.com.au. The shop is open from 11am to 5pm from Wednesday to Saturday (open till 7pm on Thursdays). It is a shame to see Perseys Books close soon. I personally have been in there and found some gems! I hope someone can help move the books as there are books there for all ages and some really great finds, a trip into the shop takes me back to the way good bookshops used to be. Friendly atmosphere and no pushing for a sale. I have fond memories browsing the original store in lower Crown Street, near the poor departed Oxford Tavern. There were always piles of books in boxes to negotiate, cluttering the isles and giving the store a special atmosphere… such a shame that these types of stores are slowly heading into the pages of the history books they once sold…. So sad. Can’t it be saved somehow? Unfortunately it is a sign of the times. As per above everything now is going Digital.